Christian Dior, founded in 1947, continues to bring us gorgeous ladylike designer accessories. 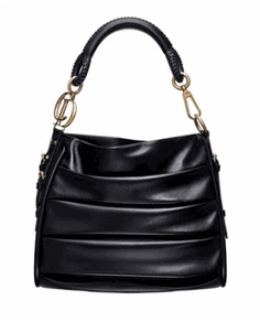 The Dior Libertine bag in sheepskin leather is no exception. Handcrafted in soft sheepskin material and has a multilayer fold design with light gold tone hardware with CD accents. Single leather shoulder strap. Made in Italy.